Eatliz first appeared in the Israeli indie scene in September 2002 and has been playing a significant role in it ever since. The group has earned its following through word to mouth and extensive touring of Tel Aviv clubs. 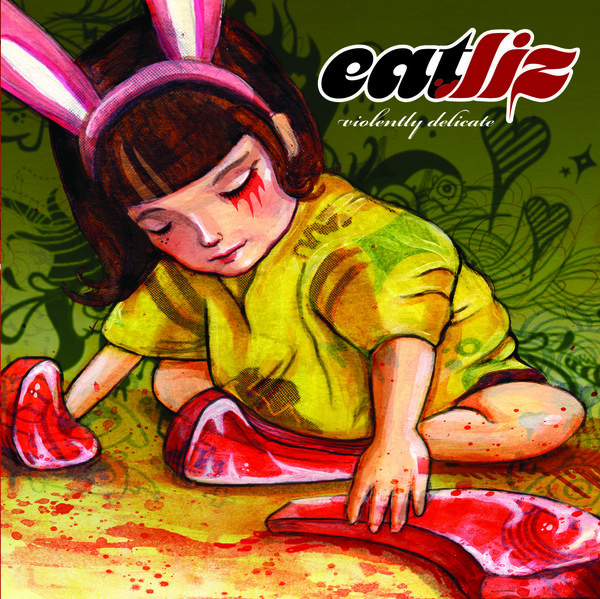 Eatliz's fans used to invite others to come and see the best band they haven't heard yet , but that has changed in October 2007, when Eatliz joined the Management and Record Label - Anova Music and released their full length debut Violently Delicate. Eatliz is the second musical project initiated by Guy Ben-Shitrit, guitarist and main writer for the cult act Infectzia, whose humorous yet clever lyrics and unique blend of different styles gained a stronghold among an ever-growing crowd of Israeli teenagers.The songs Ben-Shitrit writes for Eatliz (stands for butcher shop in Hebrew) are in English and aim at a more mature audience. His complex compositions and arrangements move between various musical arenas in a way which seems nearly impossible. Different songs feature influences of hard-rock, surf, punk, goth, power-pop and other genres; at times several of these turn up in a single song (!). As such a wide variety is hard to categorize, the band usually describes its music as complicated pop . The Eatliz ensemble joins together some of the best and most sought-after musicians in the local scene (Guy Ben Shitrit, Or Bahir and Amit Erez on Guitars, Lee Triffon Lead Vocals, Hadar Green Bass, Omri Hanegbi Drums). All of them are active members in various renowned acts, each bringing his (or hers) unique style and approach to the music. This combination makes Eatliz a band like no other. "Attractive", their first single, has also a beautiful animated video clip that has already stirred quite a buzz throughout the web.